We seem very close to getting things together. Once we do there is potential to have a great season. 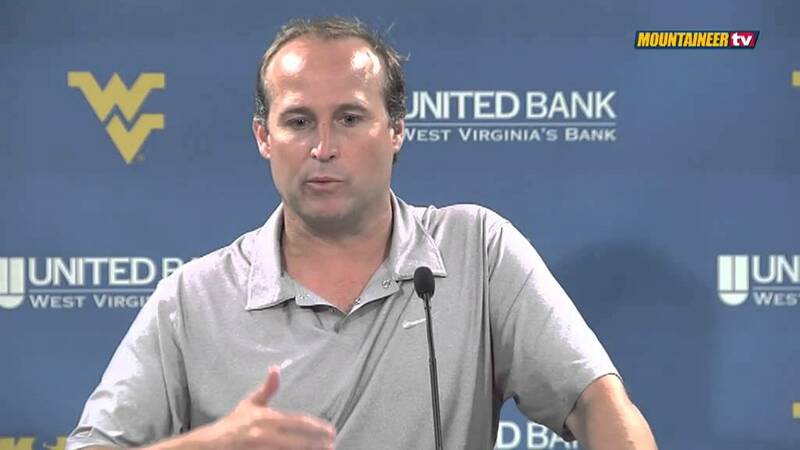 Dana Holgorsen knows a little something about offense. In his two years as offensive coordinator at Texas Tech, his teams ranked No. 8 and No. 3 nationally in total offense. During two seasons in the same job at Houston, his team averaged 563 yards of offense per game, and in one season as the offensive coordinator at Oklahoma State, Holgorsen’s Cowboys led the nation in total offense. Since taking over at West Virginia as the head coach prior to the 2011 season, Holgorsen’s teams have rewritten the offense record books in nearly every category. So far this season, though, that explosiveness has been missing. Maybe it’s because so are Geno Smith, Stedman Bailey and Tavon Austin, but WVU ranks 107th nationally in scoring offense with just 31 points in two games. That ranks even behind this week’s opponent, Georgia State, which is in its first season at a Division I Football Bowl Subdivision member. In total offense, WVU ranks 73rd with 398 yards per game.